In this tutorial, I will walk you through the process of setting up a Spawn and a Base, so that creating the other Spawn/Bases will be self explanatory. Every structure that you will create in Arathi Basin will consist of modules. 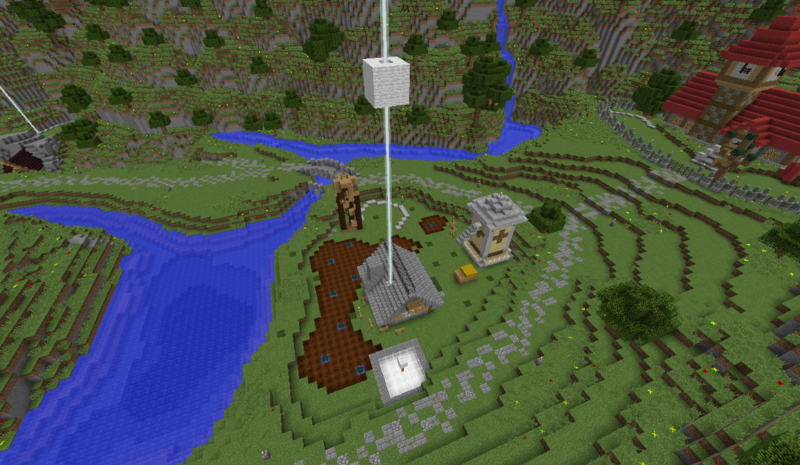 Each Spawn structure consists of 2 modules. 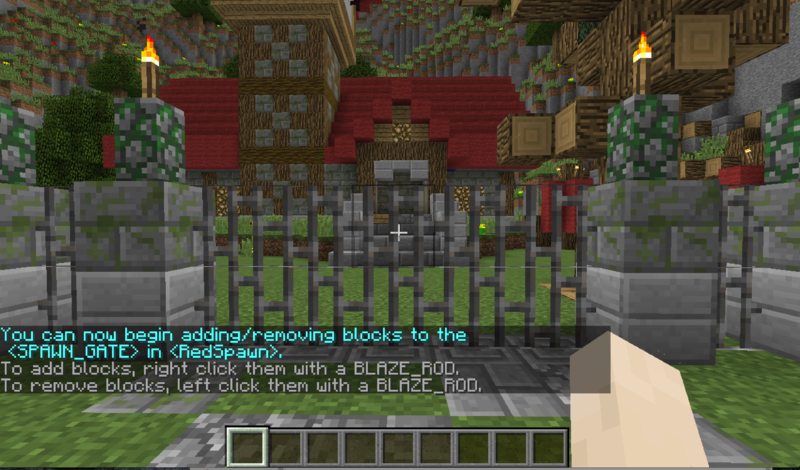 SPAWN_GATE is the list of blocks that will be broken down when the game starts and rebuilt when the game ends. 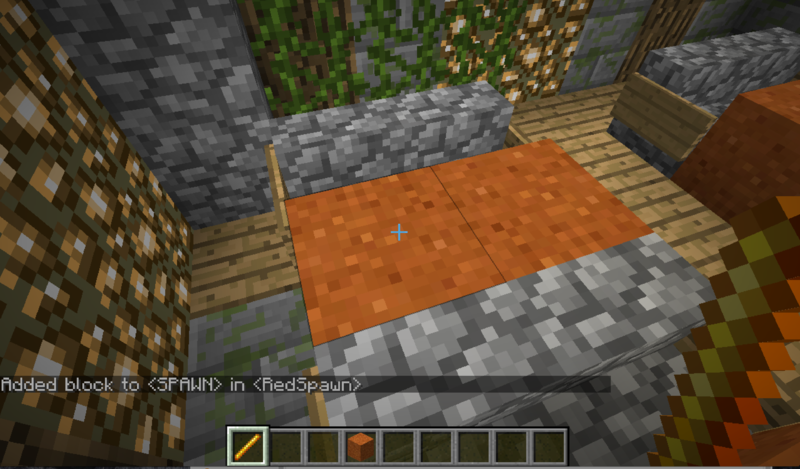 SPAWN is the list of blocks that players will be teleported to when joining the game and when respawning. Now remember those modules we mentioned earlier? We are going to populate each one of those modules with a set of blocks. 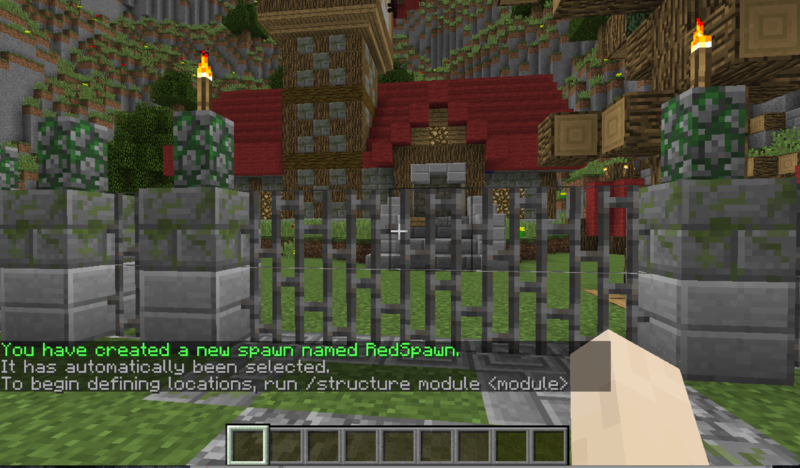 We can start with the SPAWN_GATE module. Great! That wasn't too bad now was it? 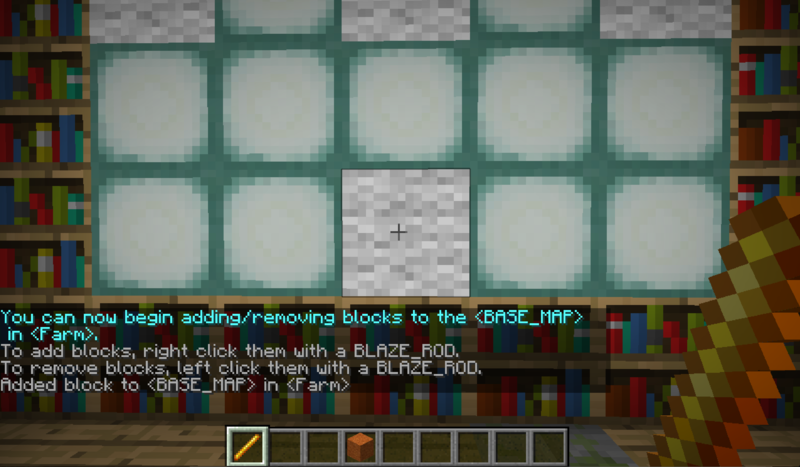 Now we can simply equip a blaze rod in our hand and right click each of the blocks that we want to add to our SPAWN_GATE. Once finished with that, we simply select the next module we want to add blocks to. We must then define the color of the spawn structure we just created. Great job! You have created your red team spawn! Now you can deselect your structure with /structure deselect so that you don't accidentally add or remove any locations from it. 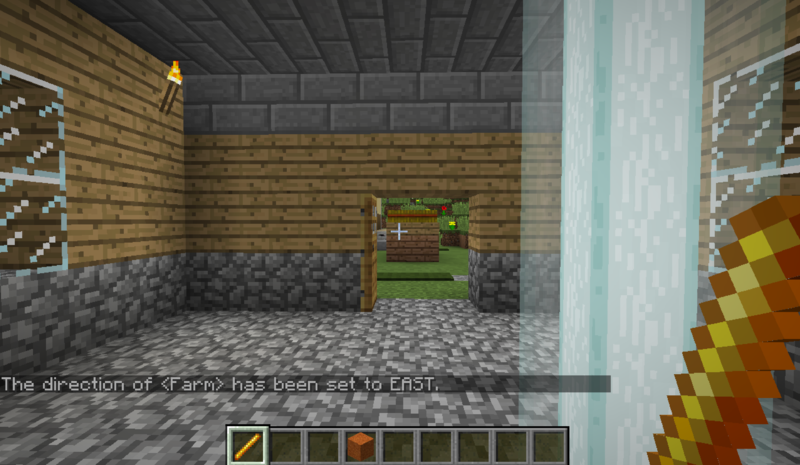 Now that you're an expert in creating Spawn structures, creating a Base structure shouldn't be hard for you at all! Each Base structure consists of 5 modules. BASE_FLAG is the 1 location of the flag that sits on top of the glass floor. This is where the base scans for nearby players from. 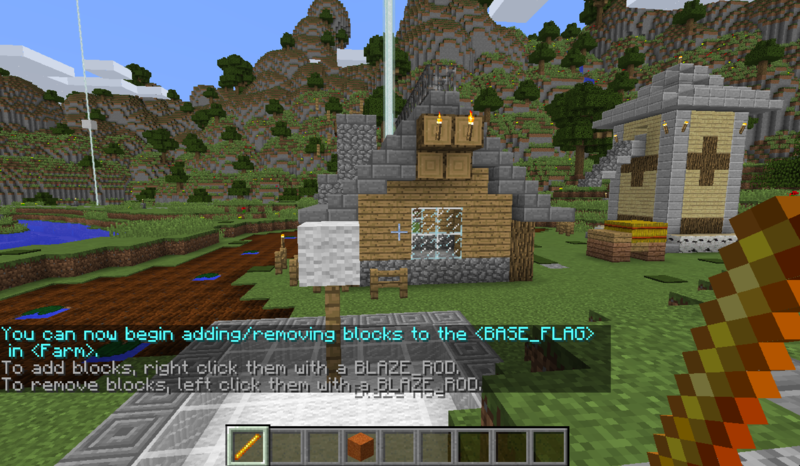 BASE_GLASS_FLOOR is the list of blocks underneath the flag. 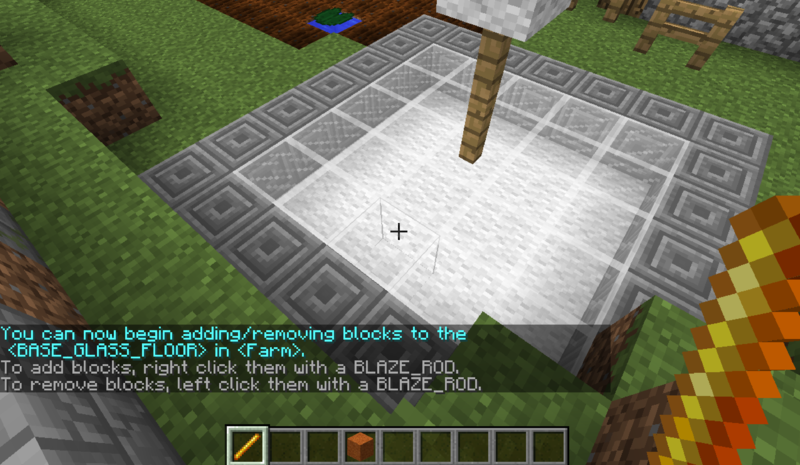 A 5x5 block area works best. 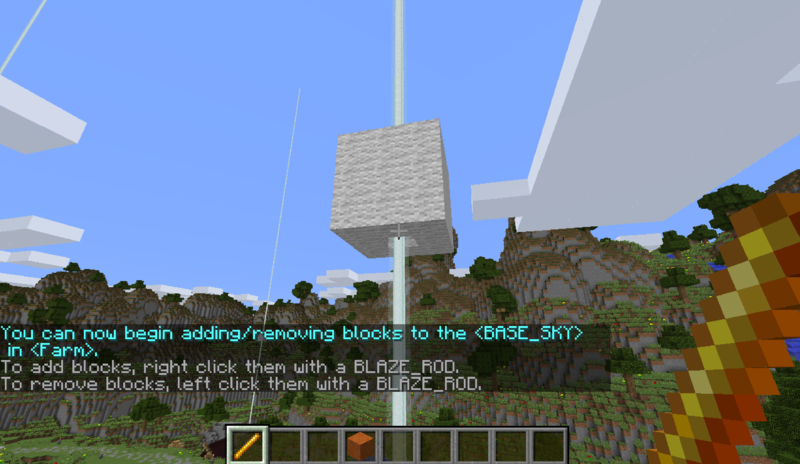 BASE_SKY is the nice looking set of blocks above the beacon. This is just for looks. BASE_GLASS_BEACON is the location of the glass just above the beacon. 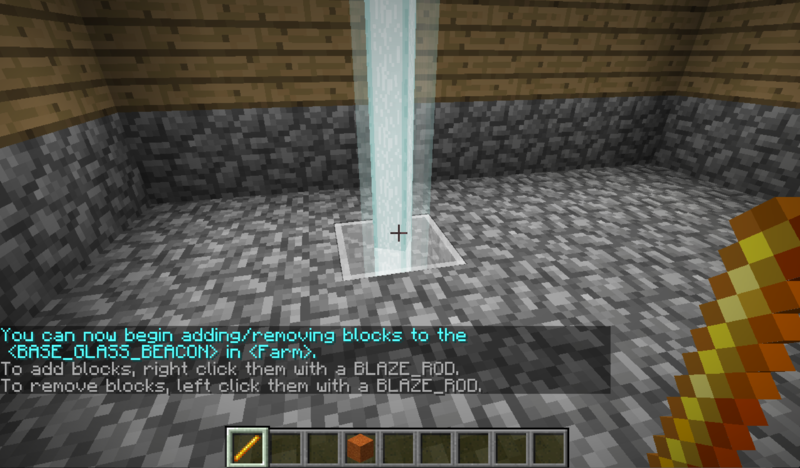 This will change the color of the beacon when the base gets taken over. 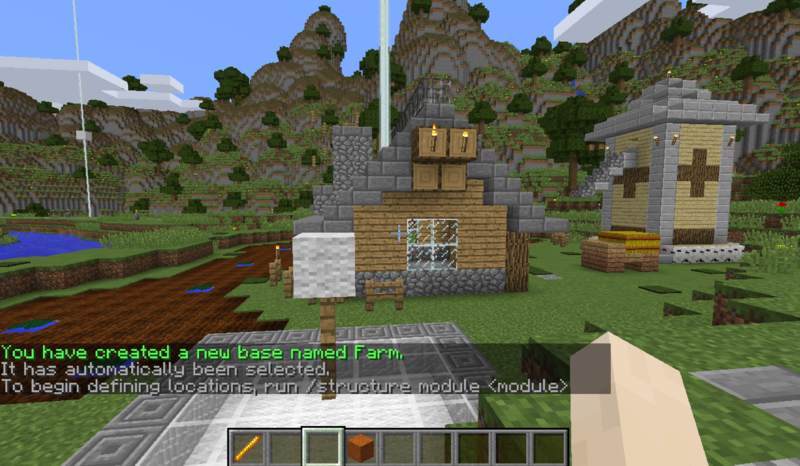 Now again we are going to select and populate each one of the base modules. And that's all there is too it! Not so bad was it? 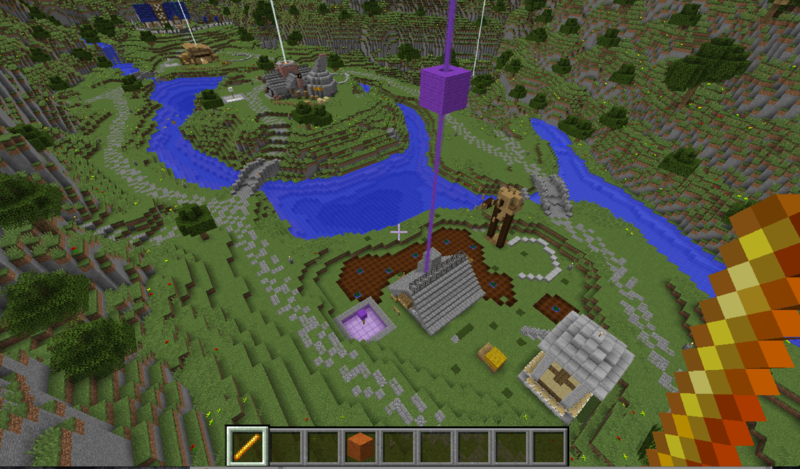 To check if you set your base up correctly, type '/structure color purple' and the base should change color! I hope this tutorial was helpful for you. Please let me know if there is anything that was unclear or that could be improved upon. Have a great day!